Monday 15th April, 2019, SYDNEY, AUSTRALIA: In a move that demonstrates its continued growth as a market-leading audiovisual distributor in Australia, Midwich AU is proud to announce the opening of a new B2B Online Store as of Monday 15th April. The webstore comprises a wide range of AV products from Midwich’s many vendors, including best-of-breed brands such as LG, Samsung, NEC, Atlona, Epson, Exterity, and BrightSign. Products are neatly arranged into categories for quick and easy navigation. Viewable from the comfort of desktop or smartphone platforms, the intuitive user interface offers customers handy features such as customised quotations, stock holding information, specialised freight services, product file downloads, and more. 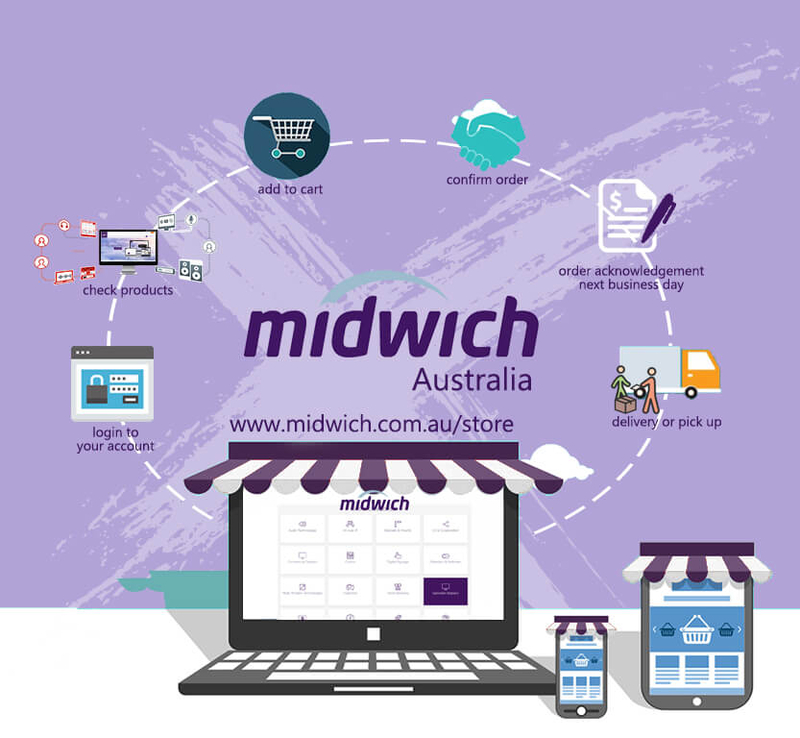 The new Midwich webstore can be visited at www.midwich.com.au/store. One of Australia’s premier importers and distributors of world leading audio, video and data distribution and display technology. With over ten years in operation, it has been providing specialised support to AV professionals across Australia and has representatives in Sydney, Melbourne, Perth, Brisbane and Auckland, New Zealand. Midwich ANZ works with resellers and integrators servicing various AV applications including: corporate, retail, education, digital signage, command and control rooms, pub, club and entertainment venues. Representing local and international brands with products built and engineered to the highest quality, Midwich offers a total solution to organisations seeking a first-rate audio, video and data distribution and display system. Midwich adds value to the distribution process by offering strong product knowledge, technical support and retaining a large inventory of demonstration product. As a trusted partner of its reseller and integrator network, Midwich has been integral in the successful design and implementation of first-class display and distribution solutions with organisations in corporate, government, commercial, industrial and defence markets.